All of our circuit boards, unless otherwise specified, are pulled from working units. All items sold with WARRANTY against DOA (dead on arrival). They are pulled BOARDs from 100% working sets. The boards are working when we pull them. Because of so many orders from consumers that are just buying our parts to troubleshoot their TVs without knowing what the problem really is. Consumers often damage boards while trying them out, order the wrong boards, or completely misdiagnose problems. The boards we stock are pulled from working sets with some kind of cosmetic damage. We test the sets with an HDMI input before we break them up for parts. We have a TV repair shop and have NEVER had a problem with one of our boards from stock. But as professionals, we use the correct boards and are able to troubleshoot, update firmware, and make modifications when necessary. All of our individual parts, like resistors, DLP chips and capacitors are brand new. 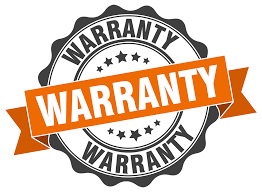 Due to the nature of electronics, there are no warranties on new components. TVrepairtips.org is a B2B parts supplier and TV repair tips database. However, we understand that sometimes, individual DIYer's have the desire to save time, money. We understand that need and we are happy to announce that we are open for business to the General Public as prescribed below. We want the General Public to understand that fixing TV's is no simple matter. TV repair involves a lot of nuances and specialized knowledge of closed circuit systems where it can be extremely difficult to pinpoint the exact problem, despite what any "tech manual" or tech support may prescribe as a solution. Inexperience in TV repair can cause damage to new circuit boards and parts when trying to test replacement parts. Another common mistake we see from non-professionals is ordering the wrong part. Many models have different versions and only the exact version will work for any particular set. All General Public purchases on this website are DOA Warranty. No refunds for shipping charges be issued on General Public purchases. We do not offer any refunds on shipping charges on purchases made by the General Public. Purchases DOA Warranty with no refunds on shipping charges. If an item is ordered, it is presumed that the buyer has read, understood, and accepts wholly and completely: that it is a binding contract, and the terms and conditions as prescribed herein, but not limited to, TVrepairtips.org policies. Thank you for choosing the TVrepairtips.org parts store for your electronic parts! We look forward to having you as our customer.